If you are considering entering into a rent to own offer, you might wish to discuss the advantages and disadvantages before signing a contract. 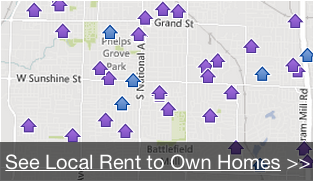 If you rent to own initially, you will see if you actually like the house enough to buy it. Where is Pembroke Pines Florida? The city of Pembroke Pines is located in the southern part of Broward County Florida. It is considered one of the Suburbs in the greater Fort Lauderdale area. The population as of 2016 is roughly 168,000 people. Pembroke Pines started as a area with many dairy farms and was to home to many retiring servicemen after World WarII. It is considered one of the the best places to live in Broward County.